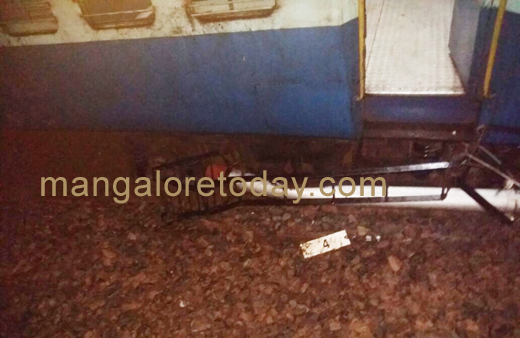 Thiruvananthapuram – Mangaluru Express derailed in Karukutty near Aluva. No casualities reported. 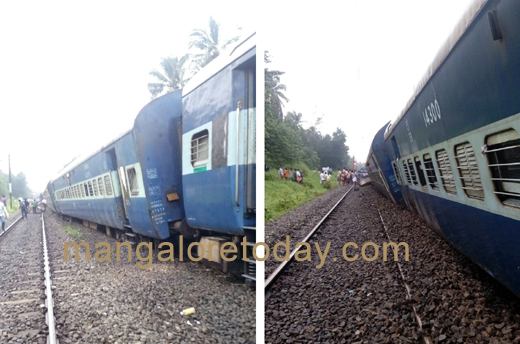 Mangaluru, Aug 28, 2016: 12 coaches of Train No.16347 Thiruvananthapuram - Mangaluru express which left Thiruvananthapuram at 20.40 hrs on 27/8/2016, derailed near Karukutty station(after passing Aluva) at 02.55 hours on 28/8/2016. No injuries or casualties reported. Both the tracks have been affected. All train services are likely to be delayed until the rescue operations are completed. Tickets will be refunded. Buses have been arranged to transport passengers from Karukutty to Chalakudy from where they will be taken to their destination by special trains. Train No.16302 Thiruvananthapuram -Shoranur Venad Express and Train No.12076 Thiruvananthapuram-Kannur Janshatabdi Express leaving Thiruvananthapuram on 28/8/2016, will service only up to Ernakulam Jn.The track on which trains run from Chalakudy to Thrissur is likely to be engaged for 10 hours while that to Ernakulam is likely to be engaged for 5 hours. Helpline Numbers: 9746769960, 9746761072, 0471-2320012. The following train services will be affected.